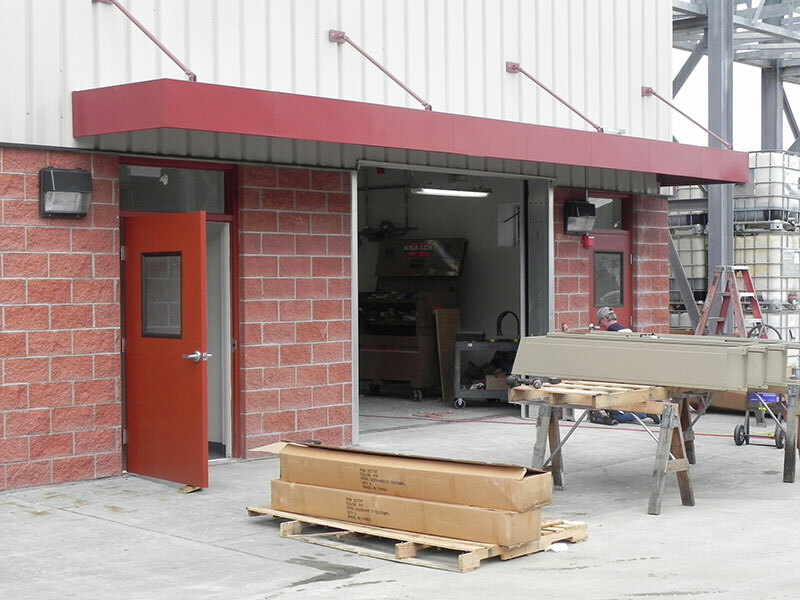 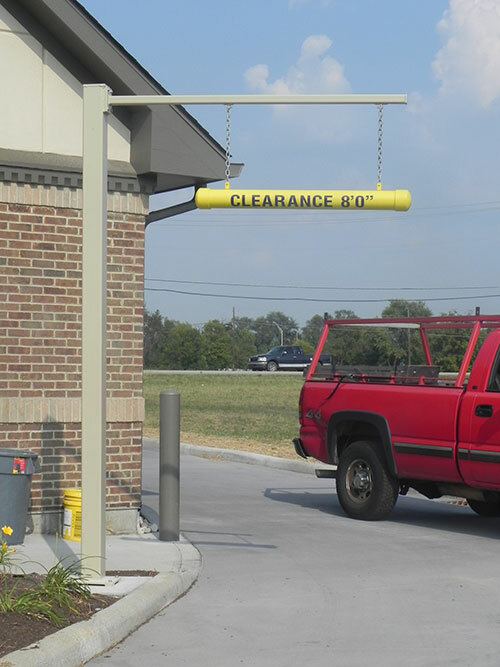 Through our in house design and fabrication capabilities, Fabric Forms can provide custom metal awnings and canopies built to match the customers specifications. 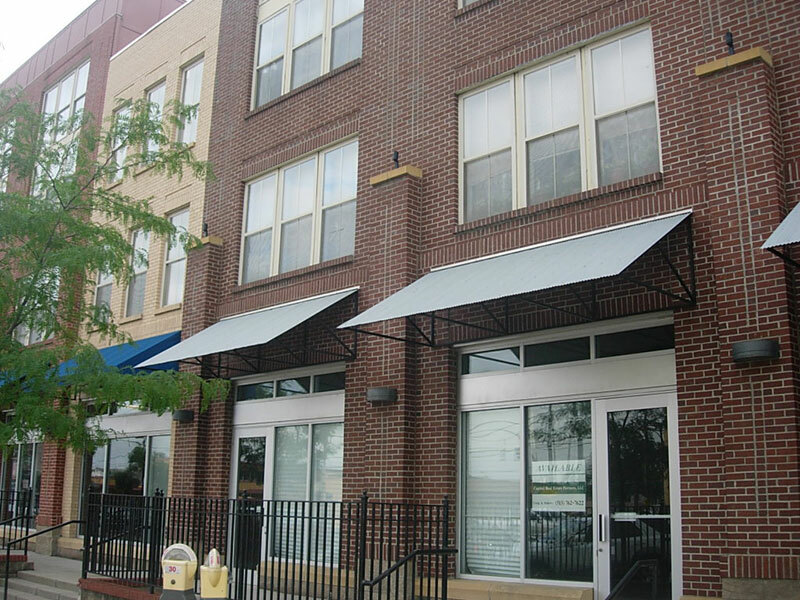 We help you create an architectural statement with distinctive awnings and canopies. 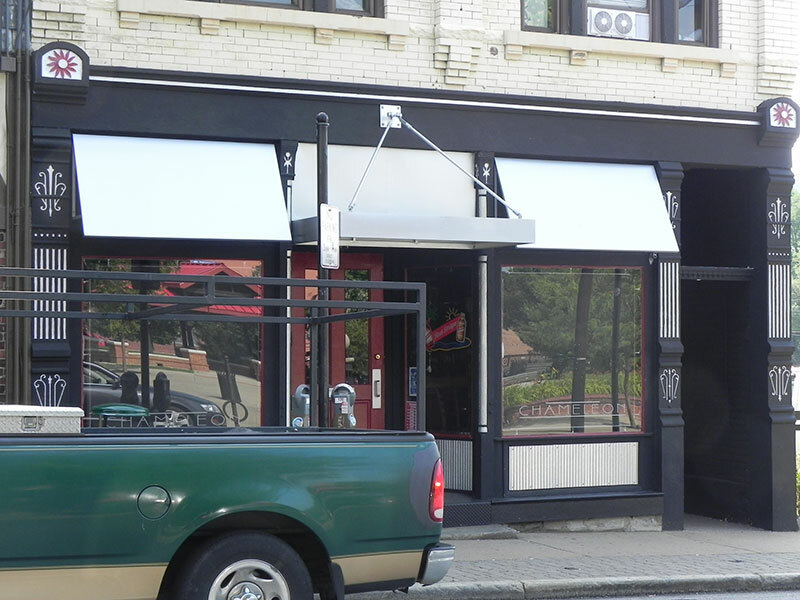 We want every awning design to communicate your character and style while providing energy savings and protection from the elements. 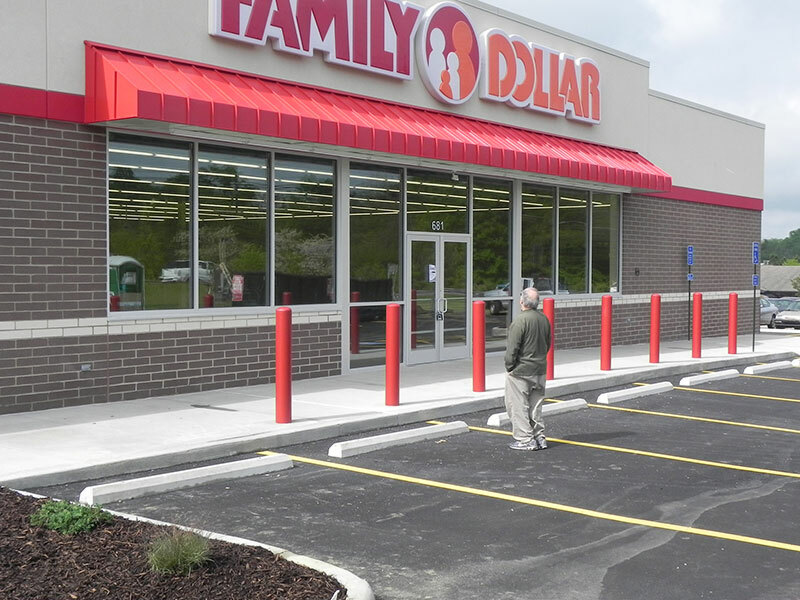 Fabric Forms designs, engineers, builds and installs custom standing seam, all awnings and canopies that help you extend a warm and weather protectant welcome to your visitors. 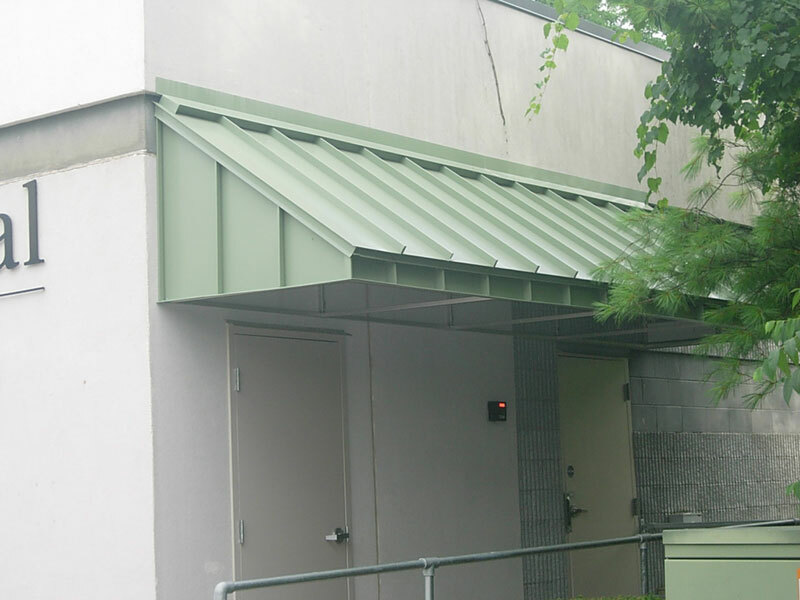 With metal and/or canopy awnings, any of the traditional awning shapes can be used, as well more contemporary asymmetrical designs. 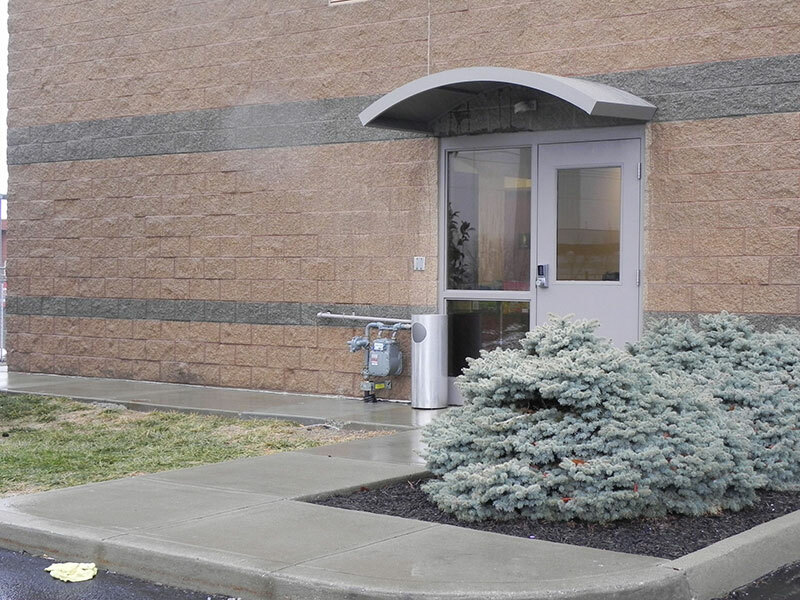 They can be purely decorative within a retail or restaurant setting or strictly functional, protecting students from the rain and snow in between buildings at school. 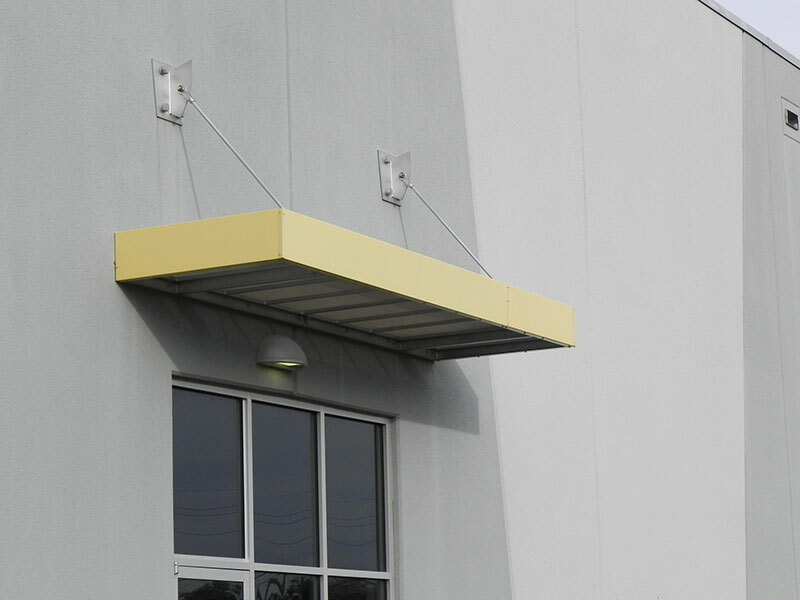 The design possibilities for metal awnings are only limited by your imagination. 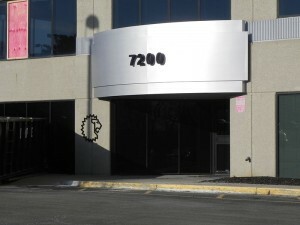 A variety of materials are used, from 24ga. 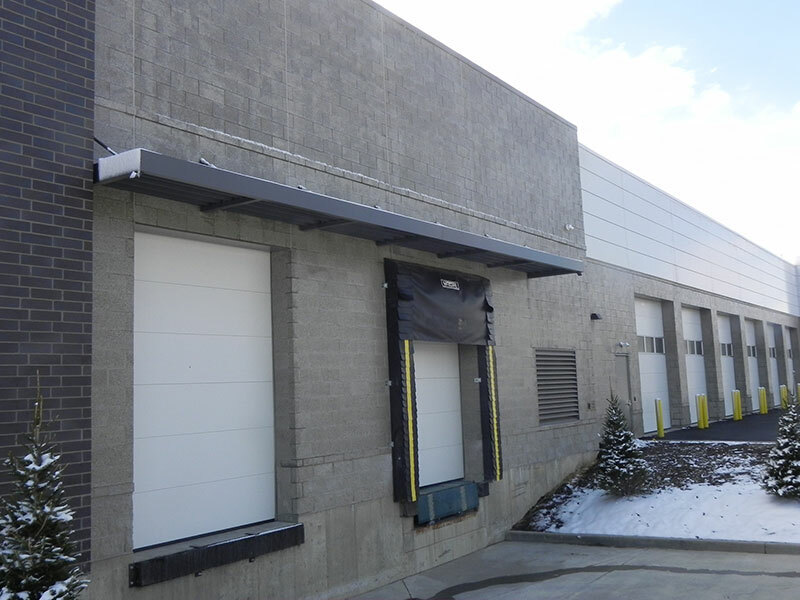 prefinished galvanized steel from Unaclad or Drexels Metals with a 25 year finish warranty to 1/8” aluminum sheet with a painted finish. 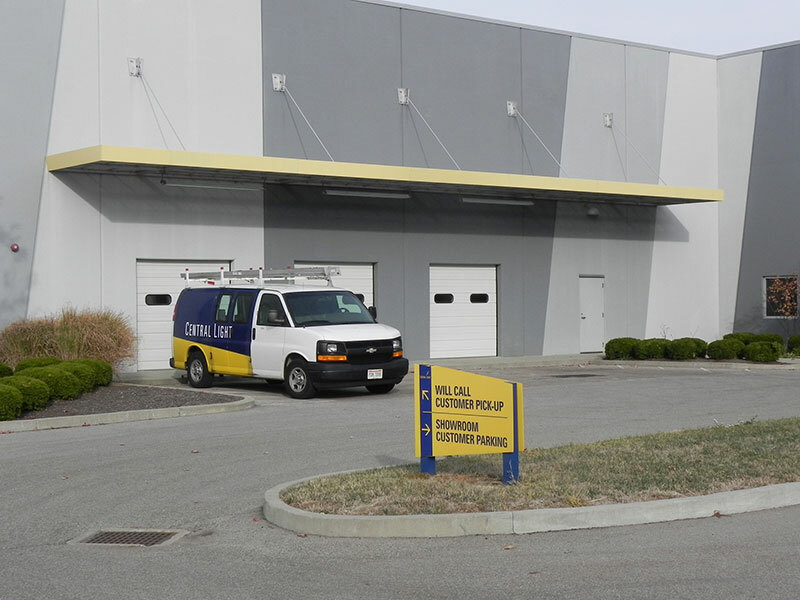 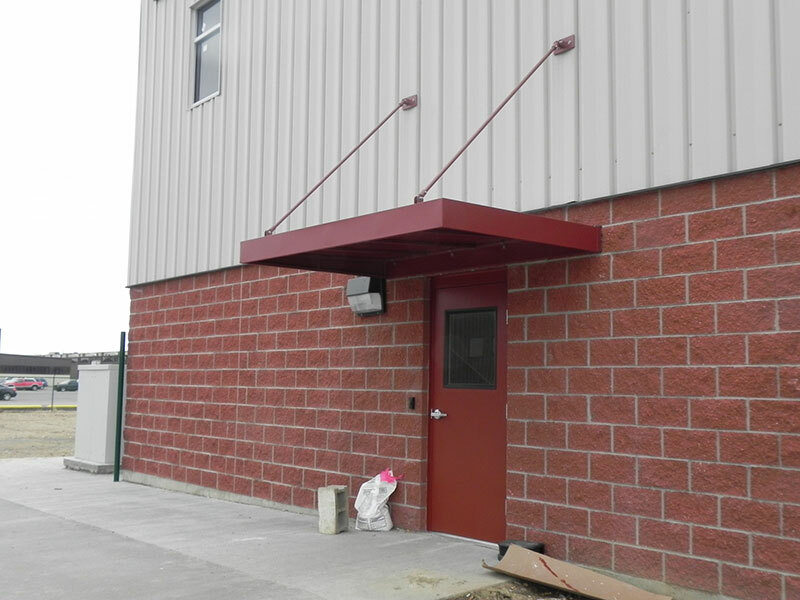 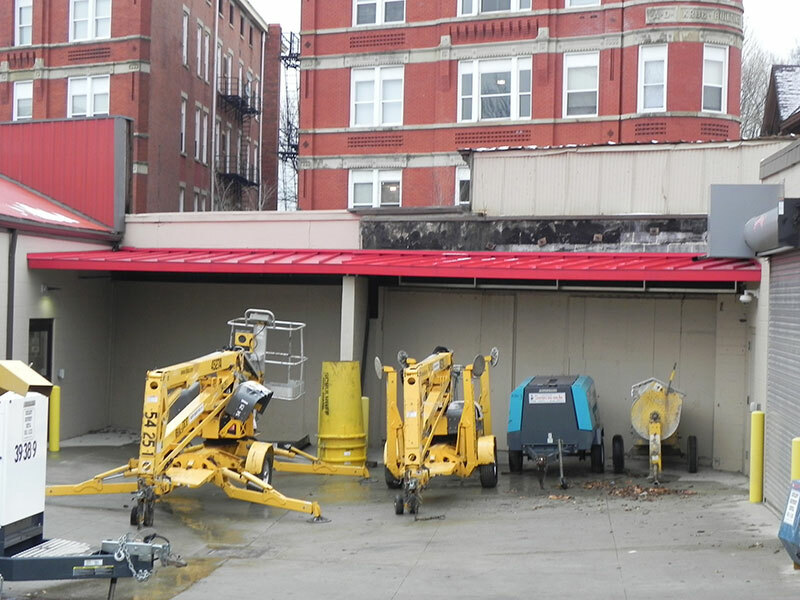 Metal awnings and canopies are commonly used in industrial applications over loading docks and schools to cover walkways. 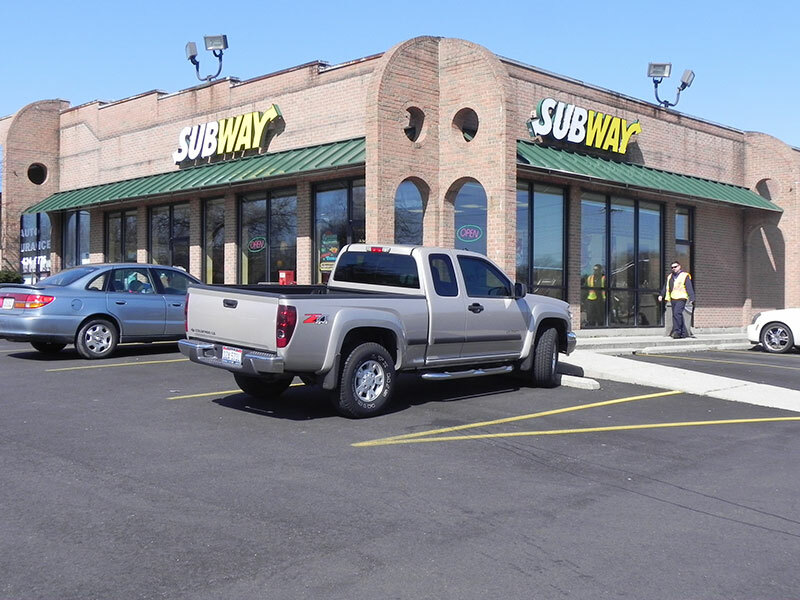 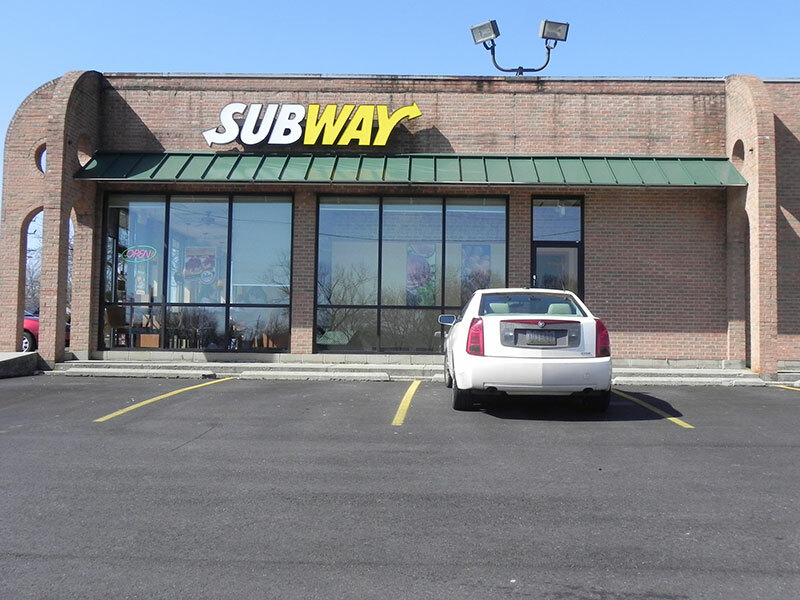 They have recently become very popular with restaurants and strip mall and shopping centers looking to separate themselves from the cluttered retail crowd. 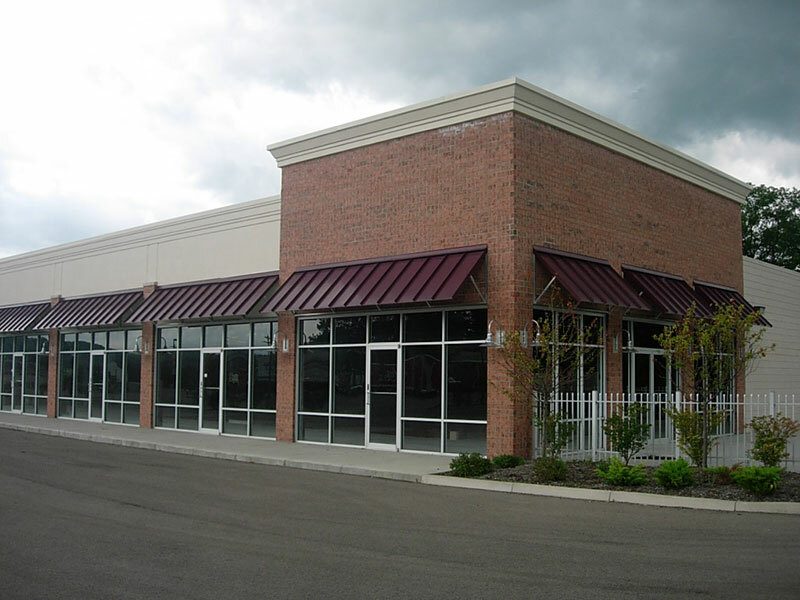 Metal awnings add dimension and interest to what are usually boring buildings that all too often look alike. 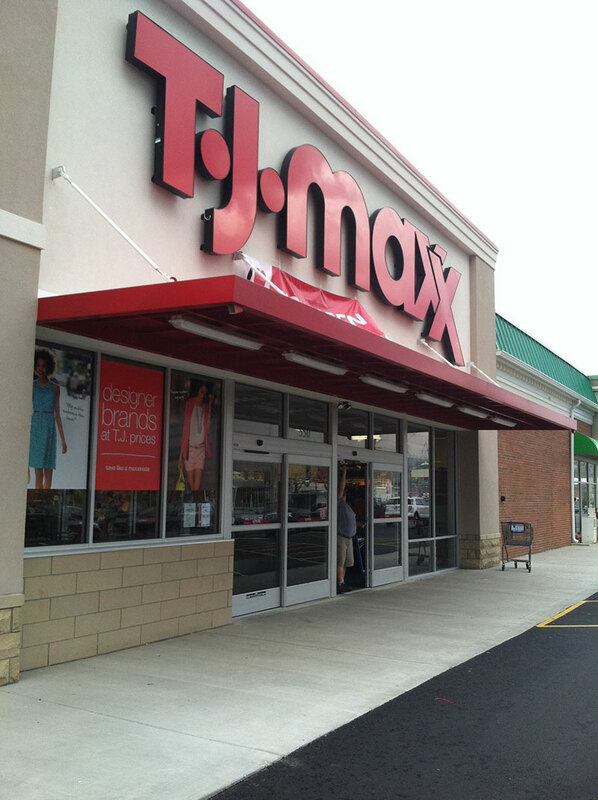 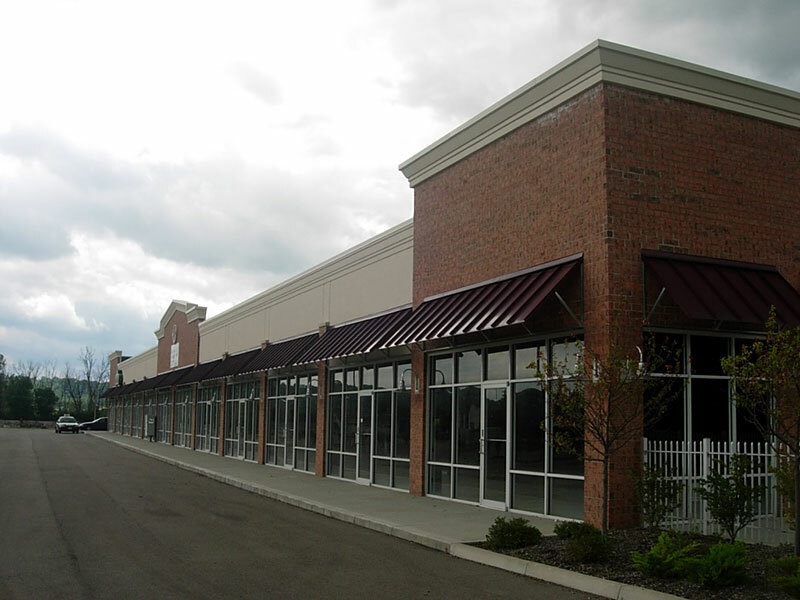 Along with their good looks, metal awnings are low maintenance and will last longer than a traditional fabric awning. 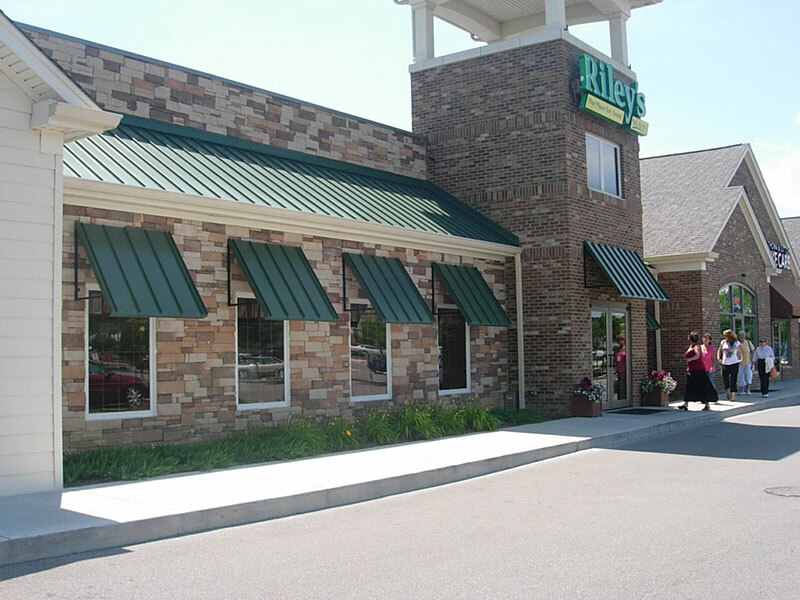 Contact us today to learn more about our custom metal awnings and canopies.